Encompassing a 201-room Marriott hotel, 18-hole championship golf course, designed by Ted Robinson, Jr., exclusive Beach Club for residents and delightful shops in the Los Sueños Marina Village, located at the heart of the resort. Escazu Luxury Condo Apartment – One remaining for sale and owner will pay for the first year’s maintenance. With a large lazy river pool and sundeck, luxurious club house and BBQ area, panoramic terraces with exceptional views and situated only minutes from anything and everything you could need, it’s a great location. 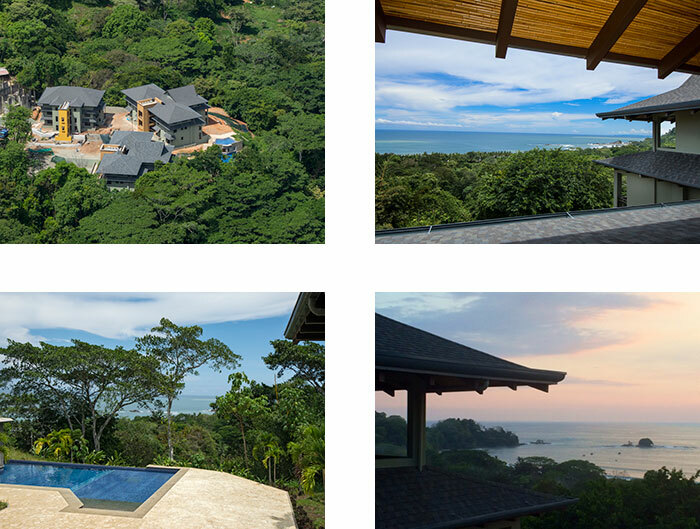 Costa Rica Luxury Condos in Jaco – ‘Palms View’ construction looking good. With the standard unit size at 2,600 square feet, the units feel more like a single family home than anything else. As the project draws near completion, the development team confidently rests assured that they have done everything necessary to complete the daunting task at hand in producing such a high standard of luxury. Costa Rica Condos At The Beach. Free August 2008 price comparison report available. 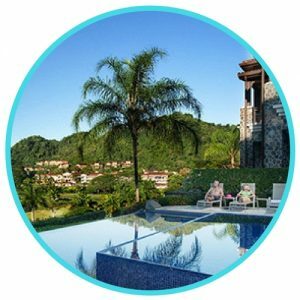 One of our Recommended Realtors Becky Clower has put together a spreadsheet which analyzes 44 different Costa Rica condo projects on or near the beach in the Flamingo, Coco, Conchal, Hermosa, Langosta, Playa Grande, Potrero, Ocotal and Tamarindo areas. 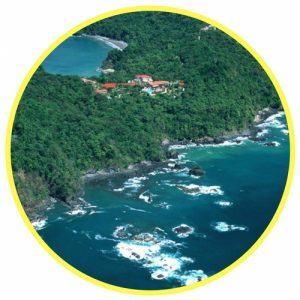 Yes I know I’m no Donald Trump but must admit to being flattered that the author who has interviewed some of the world’s most successful mega-billionaire real estate investors including Donald Trump, Sam Zell and Melvin Simon asked to interview me – Scott Oliver – about investing in Costa Rica real estate. 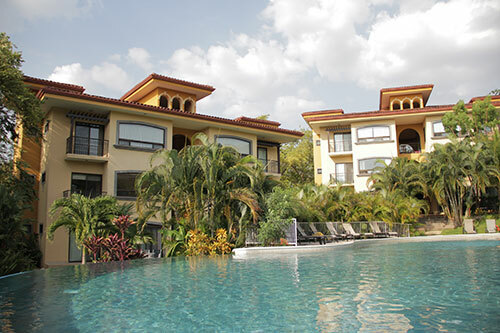 These condos were designed as affordable living for Americans and Canadians who desire the perfect weather offered by the higher elevation of central Costa Rica as well as the convenience of being close to the modern services offered by the Central Valley, which includes the capital city of San Jose. Ocean View Luxury Condos For Sale at Flamingo Beach – Extraordinary value from an extremely experienced and well funded developers with a proven track record of delivering quality real estate. The experienced developers, the in house management/rental office company, the legal department, the designers, the lady heading the non-profit center for the arts program, the finishes, the location, the amenities, the terms, the perks and at US$210 to US$376 per square foot for what’s included, this is truly an amazingly affordable, extremely luxurious Costa Rica real estate investment. So I get a special thrill when I meet up with real estate professionals who have decades of experience and who genuinely care about their project, the geographical location where they are building and most importantly, the people that are affected by their development. Jaco Luxury Condos – Guaranteed rental income for one year! An incredible offer is now available at this luxury condominium resort under construction in Jaco! They are offering the opportunity to own a fully-furnished luxury condo, at pre-construction prices with guaranteed rental income for one year. The developers are also installing low landscape lighting versus the typical street lights in an effort to decrease light pollution which will benefit guests and owners for viewing stars and constellations at night and to help nocturnal animals and turtles. Selling over 60 of his Jaco beach luxury condos in the first 45 days has been a very pleasant surprise to the young developer Josh ten Brink and his team. Sales already made have been mainly to family, friends and the existing, very satisfied customers who invested in Josh’s Bentley award winning Escazu Luxury Apartments where resale prices are 40% higher than where they were one year ago. Jaco’s Largest Most Luxurious Condo Project Breaks Ground – Photo collage. One of Jaco’s largest, most luxurious condos projects has broken ground.